Thanks guys. It's coming along ok... its the first time I've had a crack at anything like this so I'm having a load of fun building it, despite all the mistakes and the trial and error ad it's slow going. Keep up the amazing work, mate and continue to show me the way, your pitch looks well mown, what type. Loving the different billboard stickers;especially Pukka Pies. Delicious! Love it,I have happy memories of Craven Cottage as my team AFC Bournemouth clinched promotion to the old Div 2 there in 87. Also a brilliant 5-1 Friday night win there on our way to the Championship title the season before last. Can't wait to see future updates. Agreed look forward to future updates. I am absolutely in love with this!!! Can't wait for more!!! Such a great job! So the developers have been around and the owners have sold the ground ! The current stands have been demolished and the pitch removed. However, all is not lost as future re-building work is in the pipe-line. I can't see the pictures? 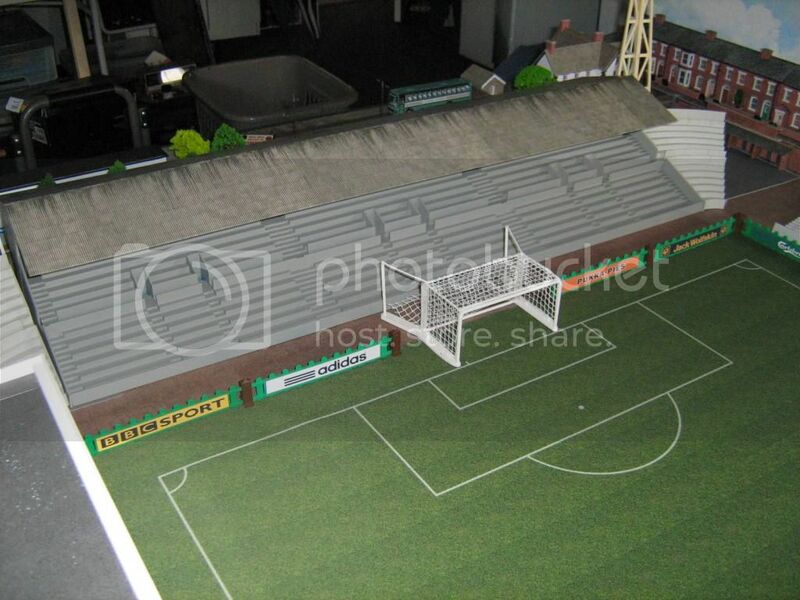 Always loved the look of Craven Cottage, very curious about your subbuteo version. No.... Photobucket is no longer free, and they have blocked 3rd party hosting unless you pay for it.... which I'm not going to do. 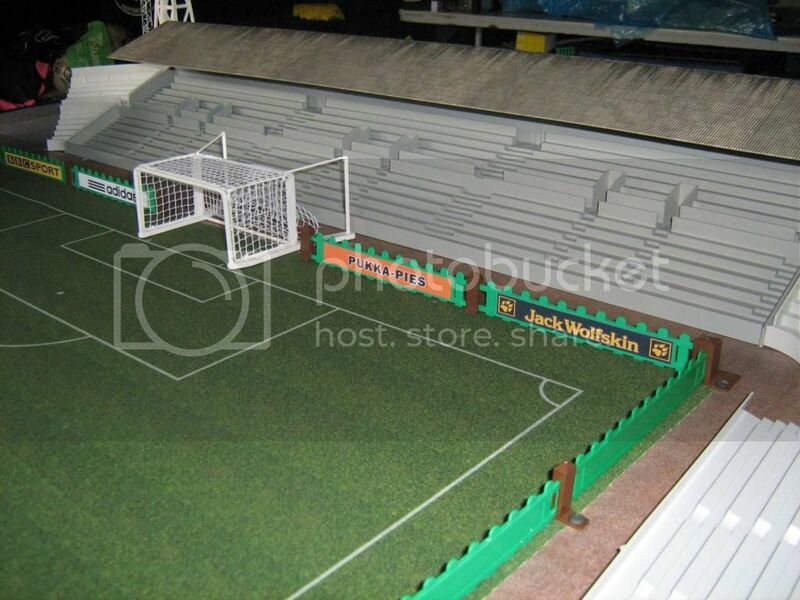 If you Google "subbuteo craven cottage" you'll see a couple of old photos of what it used to look like. I wasn't particularity happy with it anyway, so it's been torn down and being renovated. Thanks for the explanation! I use imageshack which only costs 18USD per year which I think is acceptable for this service and it works well.